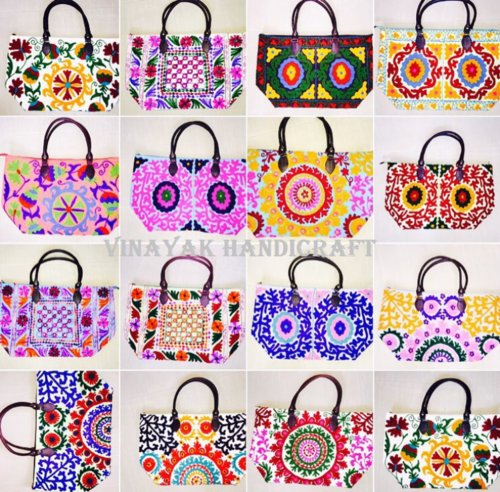 Ladies Suzani handbags, Suzani is a type of embroidery and decorative textile Suzani usually has a cotton fabric base which is embroidered in silk or cotton thread as per the name these bags are designed by our creative designers collaborating latest trend of fashion in bags.There is a soft cotton lining inside the bag which has a purse pocket for keys or mobile. 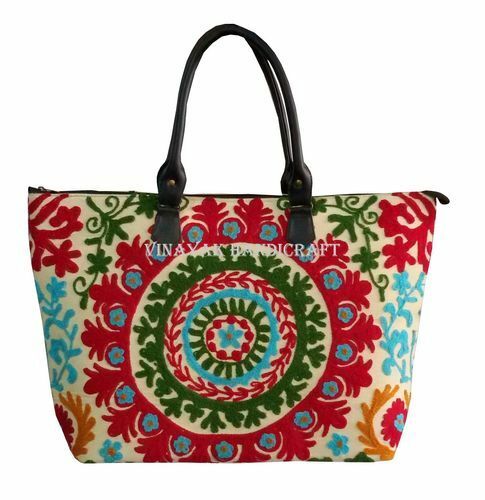 Large Woman Handbags Suzani Embroidery Tote Purse Cotton Shoulder Boho Beg .These designer hand bags are produced using high quality raw material and durable lining, Suzani bags are easy to carry with all kind of traditional and modern dresses. 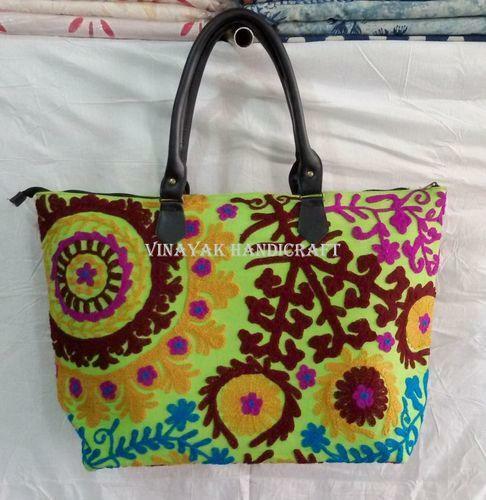 This hand bag is durable & is very Comfortable to Use. 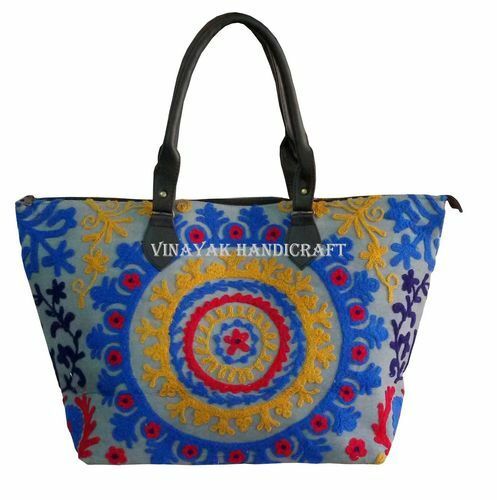 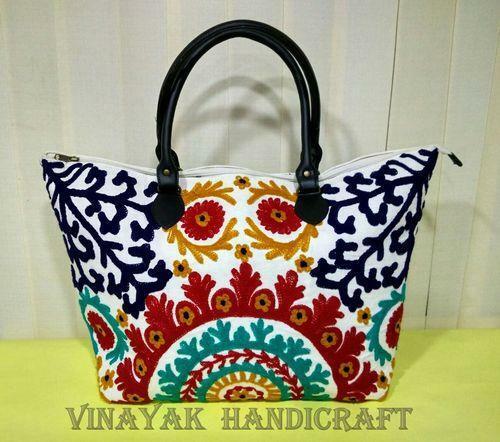 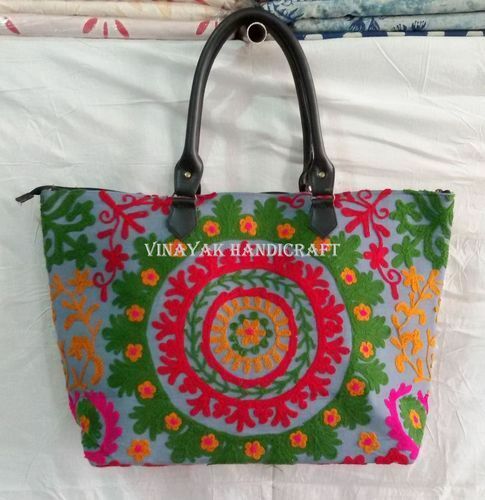 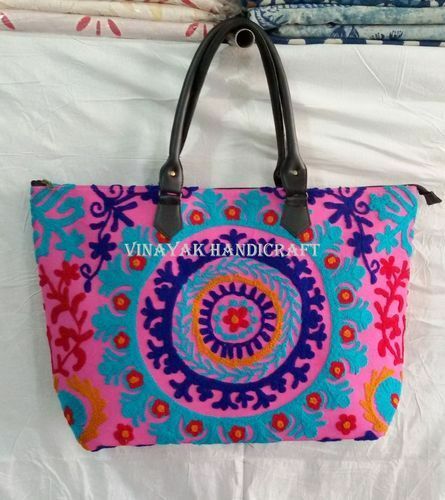 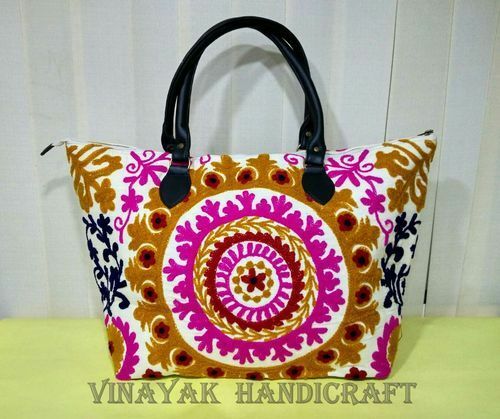 Suzani Embroidery Handbag Woman Tote Shoulder Bag Beach Bag Designer Boho Tote.These bags are in enough demand in the market because of its brilliant looks & multipurpose use. 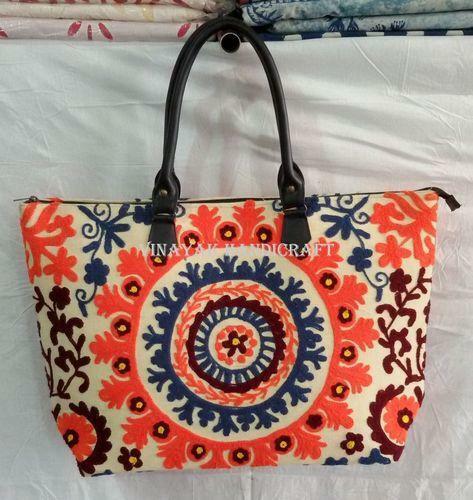 Suzani embroidery bags give a combined appearance of both classic and trendy look. 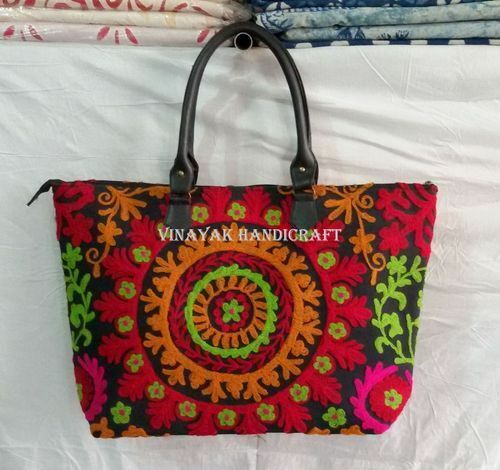 These Designer bags can be used as a shopping bag, to carry files to office and also for ladies to carry their makeup and other accessories. 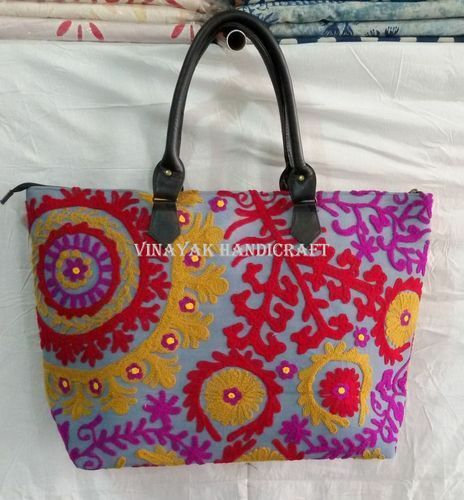 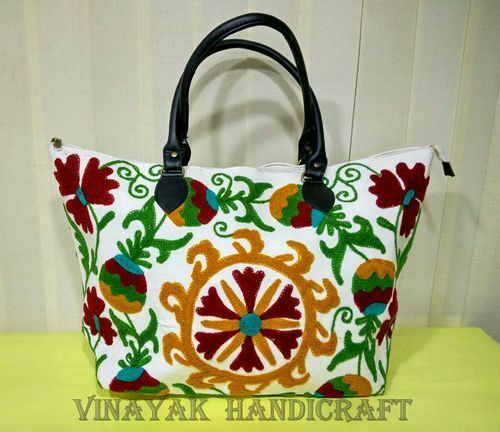 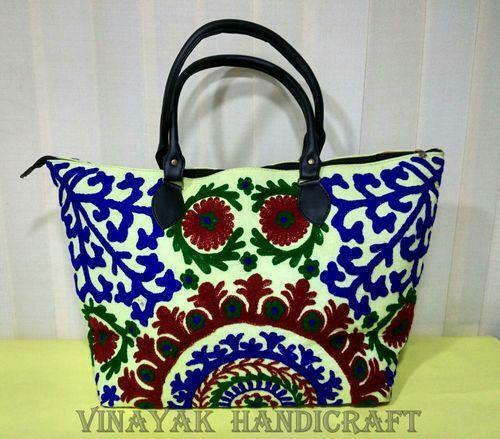 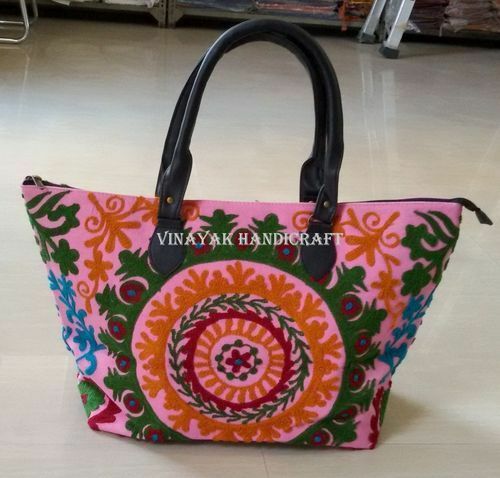 Its an Ethenic Handmade suzani Bag for womens which is easily to carry for shopping, Collage. 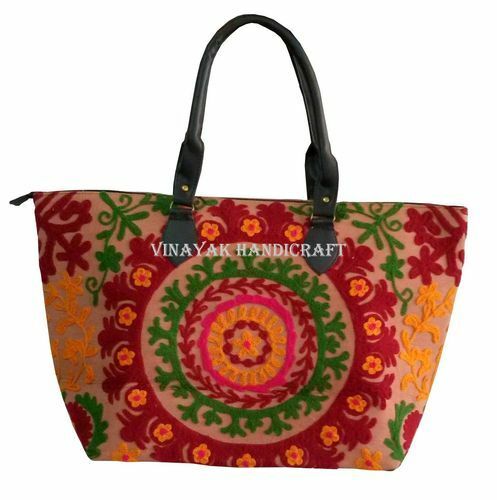 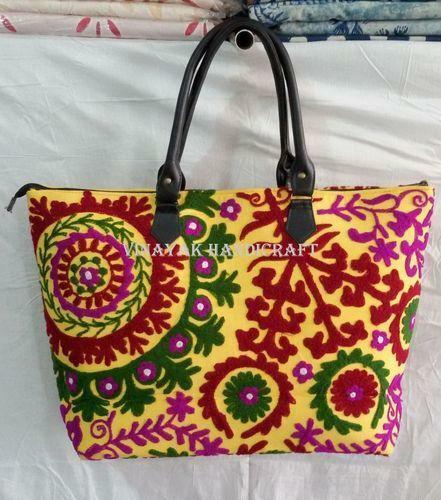 We Have more design in this Ethenic Handmade suzani Bag. 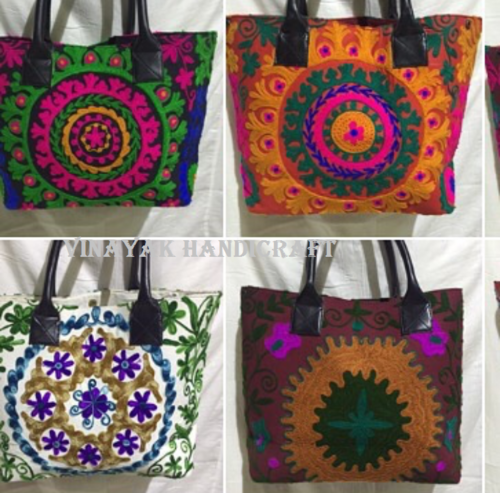 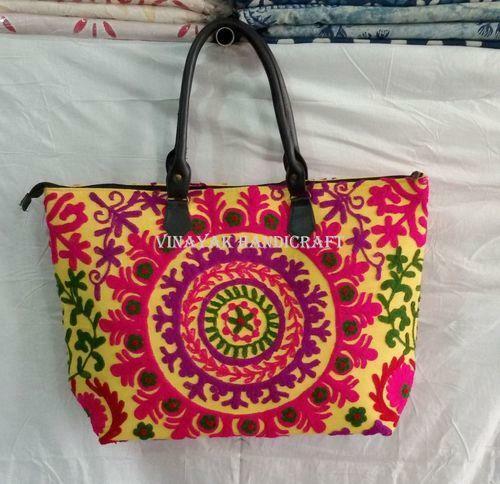 Looking for “Suzani Embroidered Bags”?